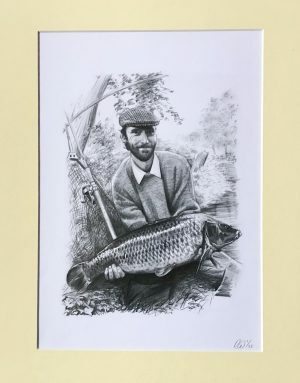 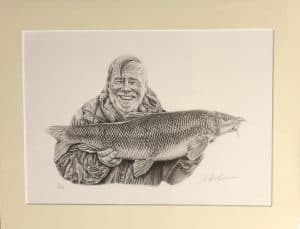 Here is a scarce full colour print by Pete Curtis of the legendary Richard Walker with his record carp from Redmire Pool. 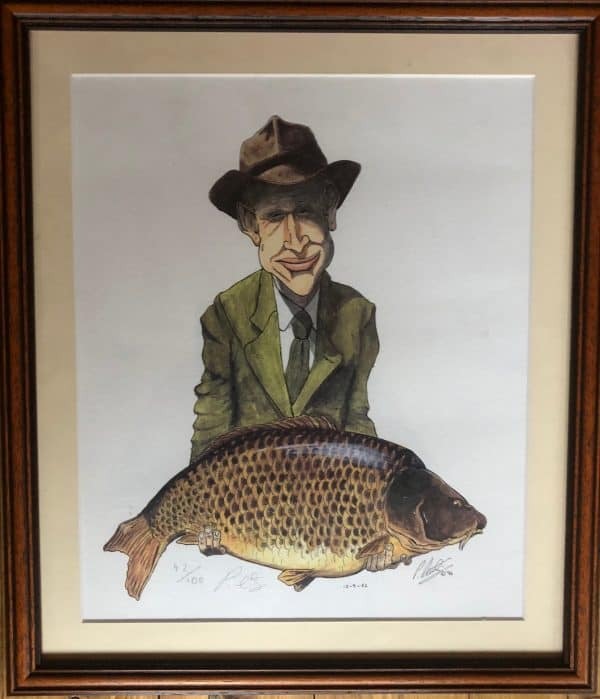 This is number 42 of 100 and has been SIGNED by the artist – Pete Curtis. 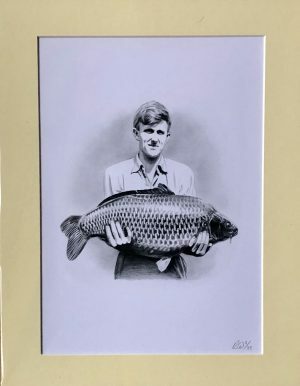 Professionally framed and ready to hang on the wall of your fishing den it measures 38cm by 32cm including the frame.